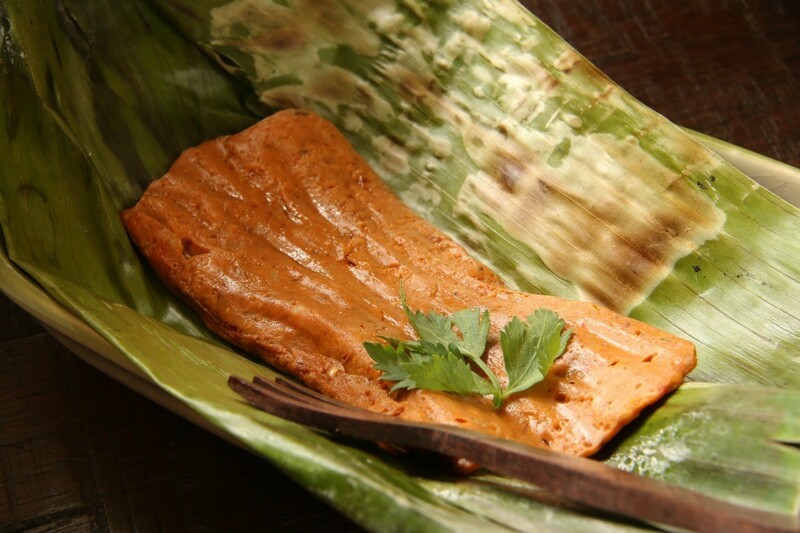 Many cultures cook fish inside banana leaves as bananas are grown in tropical climates worldwide. This is a guide about cooking fish in banana leaves. 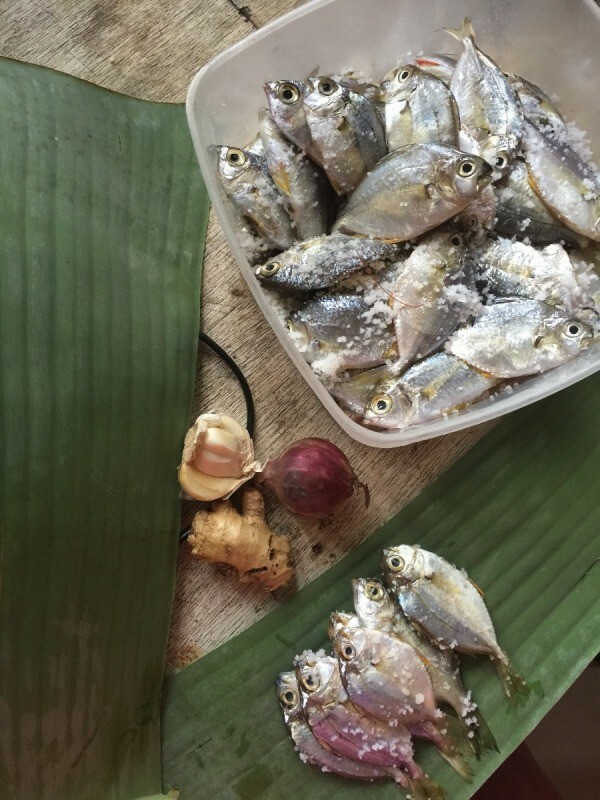 Use a banana leaf or even mango leaf to wrap little fish, so they don't scatter when you cook them. As you can see on the picture, it has been arranged and wrapped properly. 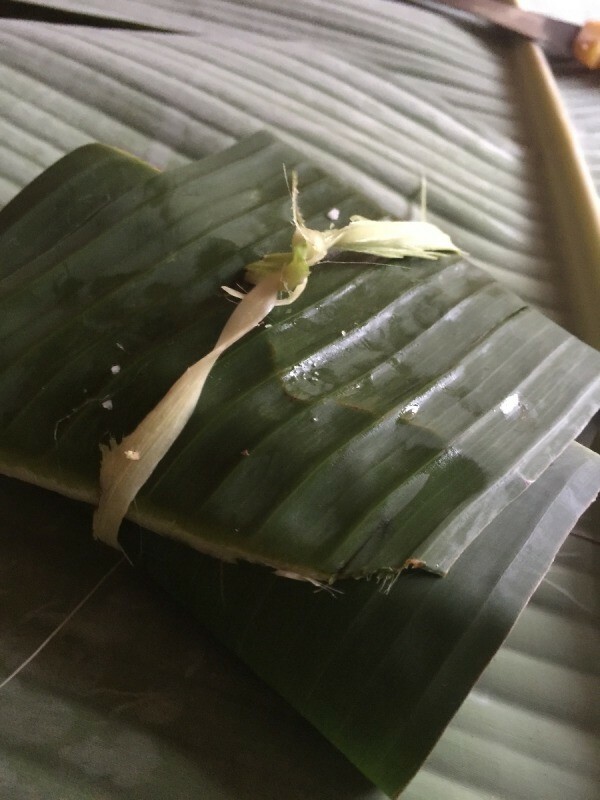 It also provides a delicious, natural aroma with the banana leaf.